Phototherapy, also known as blue light therapy, is a type of treatment that involves the use of high-intensity light to address various conditions. According to a Health Line article, phototherapy becomes photodynamic therapy (PDT) when the treatment is supplemented by photosynthesizing or light-sensitive drugs. Likewise, the entry stresses that the treatment is a relatively quick process and can be done in an outpatient setting. The article adds that phototherapy sessions commonly last between 15 minutes to 90 minutes long depending on the area being treated. Does not contain long-term side effects when used properly. Is less invasive compared with surgery. Requires a short treatment duration and can be done in an outpatient setting. Can be applied on target areas precisely. Can be repeated at the same site unlike radiation therapy. Leaves little to no scarring following the treatment. Usually costs less compared with other cancer treatments. Phototherapy is a commonly used remedy to various forms of pre-malignant or malignant skin cancer growths. The treatment is used to prevent the onset of skin cancer and eliminate both pre-cancerous and cancerous skin lesions. According to experts, the photosynthesizing drugs used in PDT react with oxygen to effectively kill cancer cells. Aside from this, the treatment is also used to address cancer of the esophagus, Barrett’s esophagus with dysplasia and non-small cell lung cancer. The treatment is also used to treat other types of skin conditions such as acne, sun spots and scars as well as psoriasis and keratosis. Phototherapy is shown to boost skin health by improving its texture and relieve oil gland enlargement. Likewise, phototherapy is found to effectively address depression and other behavioral conditions. The treatment is touted for its efficacy against seasonal affective disorder. Phototherapy is also a well received remedy for sleep disorders and agitation in patients with dementia. The treatment may improve alertness and relieve fatigue as well. In addition, an article posted on the Self Hacked website reveals that phototherapy may improve digestive health by increasing the body’s glucose metabolism and preventing oxygen deprivation in the liver. The therapy is also found to protect the kidneys against oxygen depletion. Furthermore, phototherapy kills disease-causing bacteria – such as Helicobacter pylori, Porphyromonas gingivalis and E. coli – and fortifies the body’s immunity. The treatment helps address jaundice in newborns too. Phototherapy is particularly beneficial to the skin. Likewise, the treatment helps improve the central nervous system’s overall health. The intervention also supports both the urinary tract and the digestive profile. Phototherapy helps eliminate both precancerous and cancerous skin lesions. Phototherapy addresss cancer of the esophagus, Barrett’s esophagus with dysplasia and non-small cell lung cancer. Phototherapy mitigates the onset of depression, agitation, sleep disorders and seasonal affective disorder. Phototherapy prevents the onset of oxygen deprivation in the liver and the kidneys. 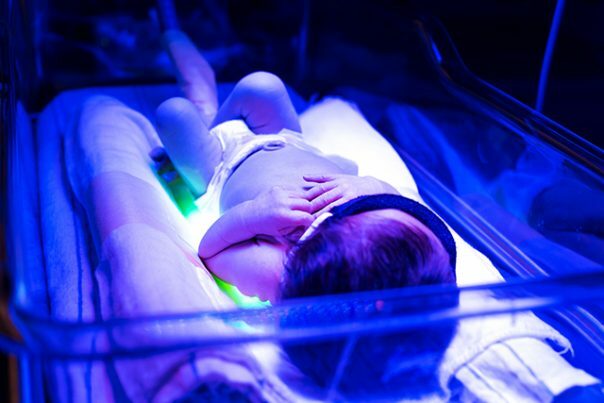 Phototherapy wards off disease-causing bacteria and relieves jaundice in newborns. Phototherapy is particularly beneficial to the skin and the central nervous system. Phototherapy also supports both the urinary tract and the digestive profile.